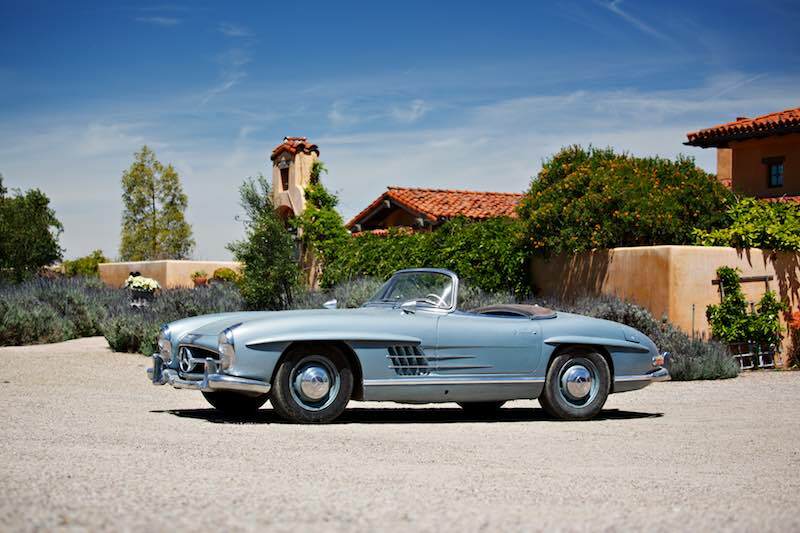 A pair of Mercedes-Benz 300 SL models from single family ownership will be offered at the 2017 Gooding and Company Pebble Beach Auction, scheduled for August 18-19 during the Monterey Classic Car Week. The 1955 Mercedes-Benz 300 SL Gullwing and the 1957 Mercedes-Benz 300 SL Roadster are presented with limited mileage and in original, unrestored condition. The story begins with a car-loving publishing executive living in the Midwest in the mid-1950s. When he ordered a 1955 Mercedes-Benz 300 SL Gullwing through Max Hoffman’s New York dealership, he specified that his new sports car be outfitted in British Racing Green (DB 221) over tan leather, a rarely seen color combination among the total of 1,400 Gullwings built. 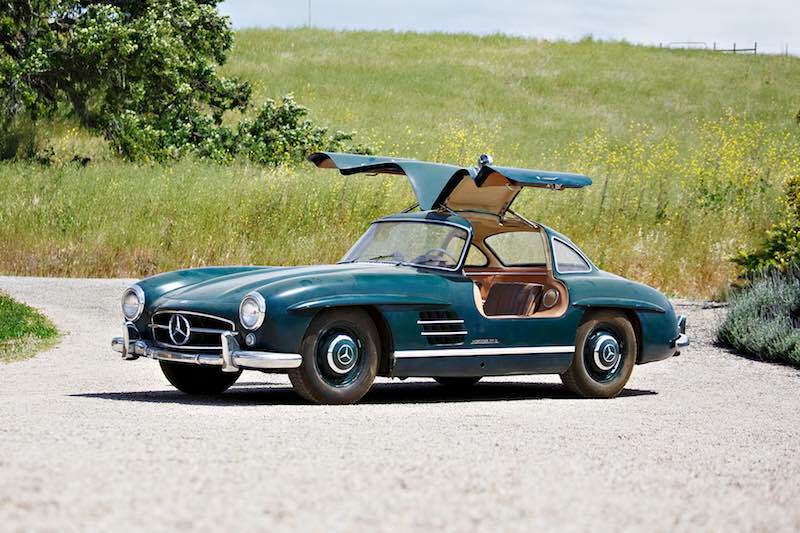 Even more surprising, this Gullwing has accrued just 16,000 miles from new and remains in original, unrestored condition (Estimate: $1,000,000 – $1,300,000). This car enthusiast later acquired a 1957 Mercedes-Benz 300 SL Roadster to complement his Gullwing, finished in Silver-Blue Metallic (DB 353) over a gray leather interior and a parchment soft top. The Roadster now shows just under 38,000 miles and still retains its original matching Karl Baisch luggage set. Gooding said this “untouched beauty” is the perfect preservation candidate (Estimate: $800,000 – $1,000,000).